Windows 7 has some stock of interesting games built in the system. The major part was already present in the Windows Vista: Mahjong Titans, Purple Place, Hearts or Chess Titans. 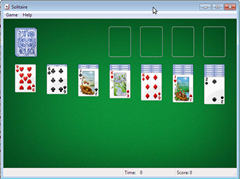 The classic Solitaire, FreeCell and Minesweeper are kept from the older versions of Windows. The exception is the Inkball game, which existed on the Windows Vista and was not taken over by the Windows 7, for some unknown reasons. 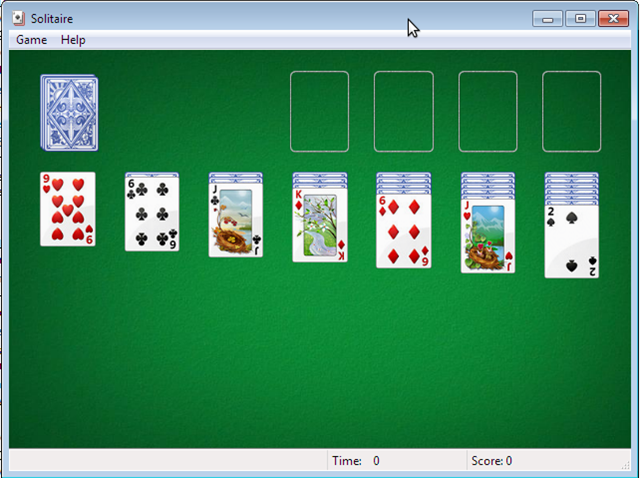 There are also Internet games available on the Windows 7. You will find Backgammon, Internet Spades and Internet Checkers. They all got improved compared to the older versions, which can be notice in the way they look and the way it feels playing them. They offer the possibility to compete with other players online. You get to play with people with the same skills as you, no matter where in the world. Once a player gets off the game, the computer automatically continues the games just from the point where the player left it off. You have the choice of the design for background and cards and keep an evidence of your results. All these games were designed to help enjoying the spare time. If you look for more diversity, then try the MSN Games website from Microsoft. There you can play free if you click on the panel on the right in the Games folder. The games provided by Windows 7 aren’t the only options you have in terms of computer games. You can buy many other games which are compatible with your operating system. In order to choose the games best suited to your computer performances, just check them by clicking on the second tab in the panel on the right, in the Games folder. There you will see the computer’s performance rating and you will know what games can run on your PC.